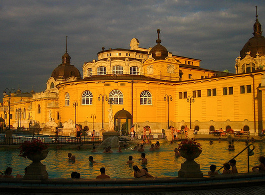 The 20% discount of Budapest Card applies to the bath ticket prices, but not to the spa services. Although massages, pedicure, manicure, beauty treatments, rentals are not available on a discount price with the Budapest Card, the standard bath ticket does offer a lot in itself. 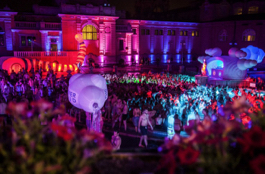 Please note that you cannot get a 20% discount on sparty tickets, as Szechenyi bath parties have their own bath party tickets (bath tickets differ from bath party tickets in price and valid hours too). 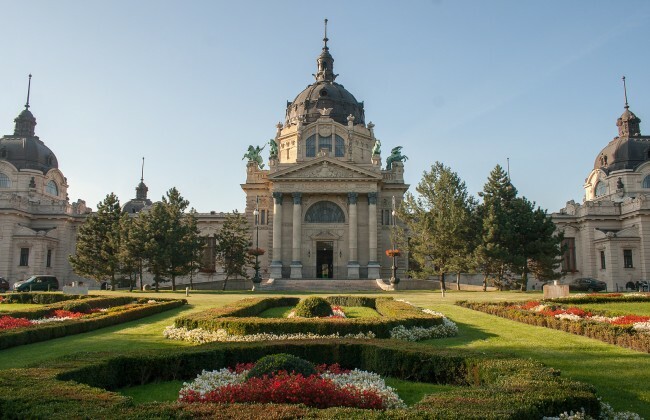 Likewise, the bath ticket discount does not apply to drinks and foods purchased in the Szechenyi Bath Cafeteria, to rental services or spa services, etc. 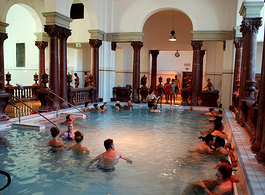 For smaller groups we can offer standard ticket prices with a faster, no hassle group entrance, which considerably speeds up the entry process to the baths. Please let us know if you wish to get a fast track entry with your group of 10 or more members. Group discounts are in general for groups of 30 or more members. The group discount varies based on the group size. 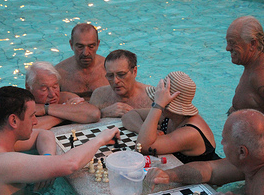 You can buy a group discount bath ticket for a weekday or a weekend visit, in Euro or in Hungarian Forint. Bath tickets, massages, etc. can be booked with approx. 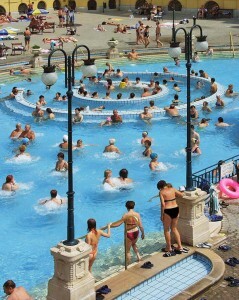 2-5% discount for groups in Szechenyi Baths. Please ask for a personal quote at info [at] szechenyispabaths.com for your group. 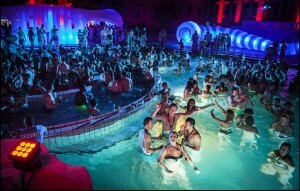 Group discount at the Budapest bath party: please check our party page for further details regarding group discount tickets for the pool party. You can get a considerable discount on massage treatments in Szechenyi Baths if you share the same massage room – with a couple’s massage package – in the baths with another person. Couple’s packages are not just for couples, but for friends and relatives too. Please choose a Couple’s Massage for sharing the massage room with another person. As the massages are pre-booked, you can only share the massage room with someone you know, and can agree to share the room with. It does not work with unknown people. 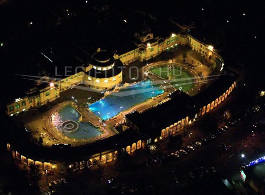 Some years ago, Budapest baths offered a special time saving scheme to bath guests: you would get a Szechenyi Bath ticket refund or Gellert Spa ticket refund, if you only stayed 2-3 hours in the baths. 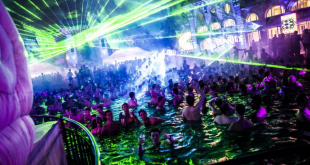 This system has been cancelled, and since 2011, no ticket refunds have been issued in the thermal baths in Budapest, Hungary. The short stay bath ticket discount is not in use any more. 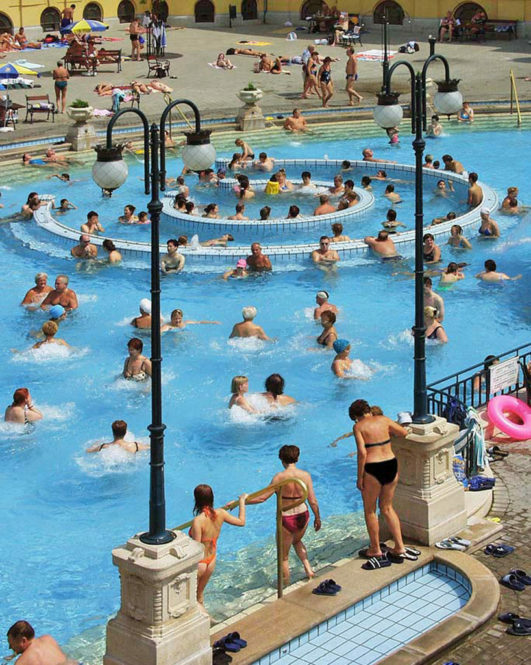 Your best option to buy the cheapest ticket in Szechenyi Bath is to buy a bath entry after 5 pm (but note that indoor facilities close at 7 pm). How can I reserve group tickets for 32 persons? Hello. we are group of 8 people. we have already booked our Bath Ticket & SzB Locker Weekend. We want to book massages (6 royal thermal massage for 60 min ) also. Can we expand the ticket as the massage deal ticket. i have already paid for 8 tickets. payment ID 87M59514KJ467832K. Can i pay the difference amount for 6 royal thermal massage (can take as couple massge as well). thank you, we have contacted you via email. I would like to buy tickets for a group of 17 people the 17th April. We will visit the baths during a weekday. Is there a group discount possible or the fast entry like said above ? And what type of tickets would I need to buy ? We will soon send you group offer via email. We would like to book a group discount ticket for 16 people, including fast track and private cabinet and rent a towel. Could you please come back with a price?